We are super stoked! 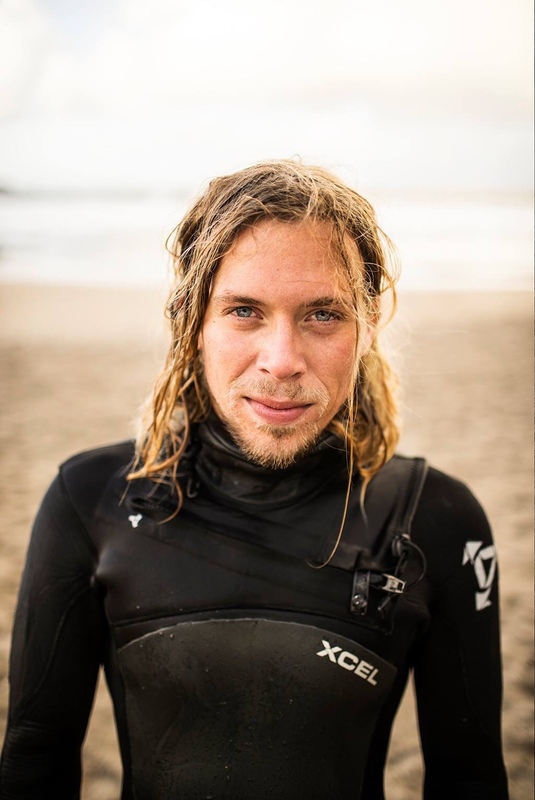 Let us introduce Ervik Surfshop Team rider – Trond Wirstad. 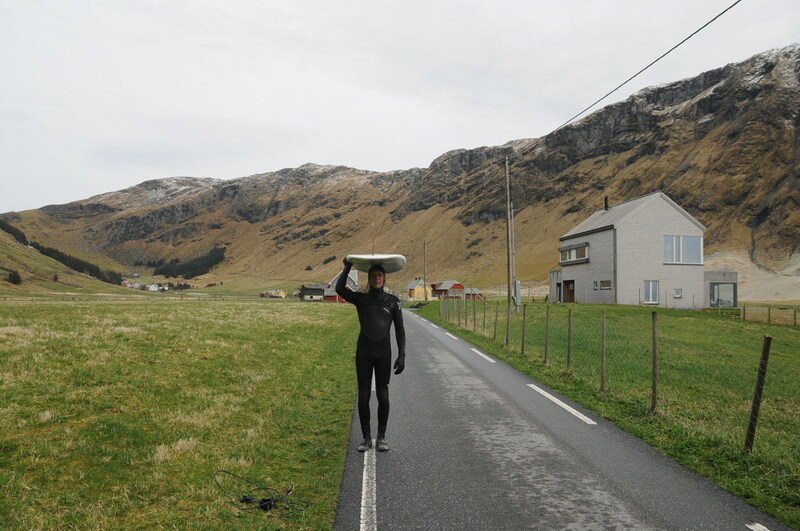 Trond is a natural born surfer, stylish and good, and has won the NM title in longboard twice now! He is also super fun to surf with and he is out there in every conditions. We are super proud to have such a legend as Trond in our team. Surfs: Whatever fits, but mostly 9’0 Takayama in the pink, different shortboards and a fish. Wats up Trond! Who are you, and what are you doing? – I am 25 years old and come from a rural place about one hour north of Oslo called Hadeland. Right now I’m studying psychology in Oslo, working as a social worker and trying to surf as much as possible. – Ervik Surfshop is truly the most beautiful and charming surfshop in the world. With the perfect location by the road to Ervik it’s always nice to come by and have a chat. You contribute to the local community in such a positive way, for instance getting the true local kids to find the passion for this amazing sport. Hopefully one day we will see a generation of 100% born and raised Stadsurfers roaming the lineups, with Marius leading the way. For me to represent the Ervik Surfshop spirit is an honor and I will try to represent you the best way possible. You truly are an ambassador for Stadt. That’s awesome! Why do you go here whenever you can? – There are many reasons why I keep coming back time after time. Over the years I have been able to work several seasons there, and now it kind of has become my second home. I love the community and I love that it’s growing with more and more moving there permanently to surf. So whenever I go there are always great people hanging around and Anne (Akka surf) who is always taking good care of me. This combined with crazy beautiful nature and good waves I always come back. I have come to the conclusion that one day I have to move there too so I don’t end up too depressed. – I’ve always been torn between longboardsurfing and shortboardsurfing, and I couldn’t really find out what I liked the most. So now I just try to surf all kinds of boards, not restricting myself to anything and letting the condition decide what I am going for. 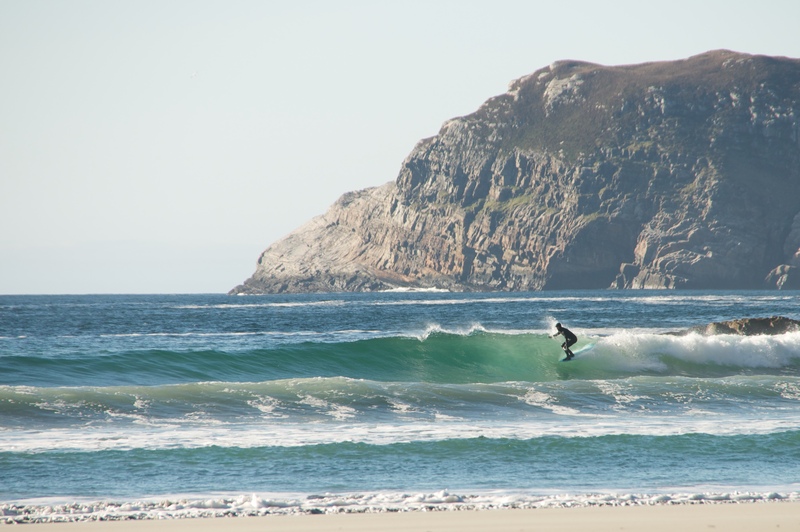 Since Hoddevik is my favorite spot in the whole world, which is often a very good longboardwave, I just naturally started surfing a lot of longboard and I love it. So the board I surf the most is a takayama 9’0 in the pink with a singelfin, but I like to switch it up between other longboards too when possible. For bigger days I either go for my 6’0 fish with a quad- or twinfinsetup or a 5’8 shortboard. – I like to compete, especially in longboard, but only for the fun of it and to meet up with friends. I have won the national championship in longboard twice now, which is pretty cool, and got some decent results in some not so serious competitions. I was supposed to represent Norway during EM in Morocco this year but wasn’t able to due to school and my student economy, but hopefully next time. – I love surfing because there are all these factors that has to come together to make a good wave. So when you for instance have a glassy, peeling Peach in Hoddevik you know it’s special. I love all the adventures, because you will always be eager to try new waves; surfing works as a great incentive to travel and explore. All the hard work you can go through, the long drives, the cold wetsuits, getting up early, and how it is all worth it every time is why I love it so much. The last thing got to be the creativity, style and a way to express yourself. – I want to show people that there is a place on Stadt you can go and feel like home, drink some coffee and maybe buy your new favorite board all at once. Thanks a lot Trond. We love you and welcome you to the team!